Miles to go before I win! Nemanja Matic joined Manchester United from Chelsea just a few days back and he is already showing signs that Mourinho made the right call. He was very good at controlling the play. He effectively acted as the supply chain to the front-men as well as the snatcher of possession when the opponent had the ball. Of course there is still major scope of improvement, but the early signs are really good. Now hold on! Of course his finishing was not spot-on and he missed two sitters. But the positive thing about his play was he was getting into good positions during wing attacks and set-pieces most of the time. This is a really good thing. Someone as strong and tall as Lukaku is, this might be thing Manchester United requires this season. The first choice defensive pair didn’t play and it showed. Both goals of Real Madrid are the proof of that. Lindelof didn’t cover Casemiro for the first goal and defense could not catch Isco’s run in the second one. We have to see how the main defensive pair plays through the season, but the bench should be strong enough to replace them whenever it is required. Manchester United is in dire need of a winger, 2 in case Mourinho decides to shun Martial again. Manchester United is failing to spread the play again and again and getting itself tangled in the center of the field. This will be very problematic, specially in the Premier League, where teams will try to sit out the match with a tight defensive formation. Oh dear! How bad did he play yesterday!!! He missed chances, lost possession, tried to be flashy and made a fool of himself. Just see how Modric played for Real Madrid. How Kroos fared! 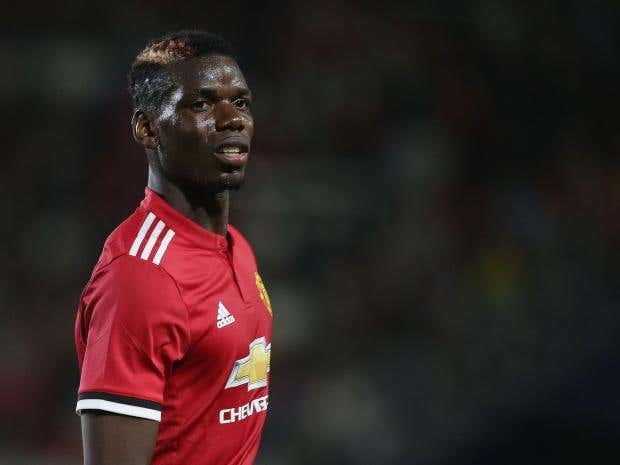 Paul Pogba, if you are listening, you need to step up for your club. Big players are remembered by their performances in big games and this was a missed chance for him. What did you think about last night match? Share your views in the comments.